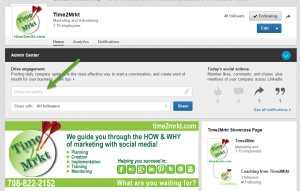 Share Company Updates to get to more views from your posts. First of all, to share company updates, you need a company profile on LInkedIn to make this work. To have a company profile you need to create one with an email address that ends in your company domain name – name@company.com. Gmail and the other general email servers won’t work. 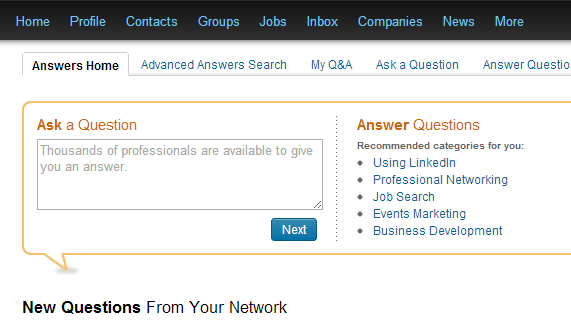 Go to your Company Profile to create the company updates you want to share. It could be a link to a blog post on your website, a job posting on your website or an article from another source. Whatever the item, try to share an update that has an image in it because people tend to click on items with images when the posts shows up in their news feed. From there another window will open that you can share your update to your personal profile, to groups to which you belong and to individuals. To find the groups that you belong to, just start typing the alphabet. Each time you type a new letter, the groups that begin with that letter will show up. For example if you have a number of groups in one letter, you will see a list of the group names. Pick one, it will be added to the recipient list. To add another just type the same letter again until you have added all of the groups from that letter of the alphabet. To watch the whole process about sharing company updates on LinkedIn, take a look at this How-To video. One way to make this work to your company’s advantage is to ask all employees to share the company status update to their personal network. This is especially useful if there is a new product launch, you need to fill an open position, or you have some great press to share! Who manages a Facebook page? How often would you like to comment as yourself, or perhaps a different page that you admin? Facebook has given you a simple option to accomplish just that! Take a look at this video to see how to do it. Make the post as your company page however you make that post – schedule it, share someone else’s post, use a scheduling tool. Find the post in your personal feed. Look in the upper Right corner for the icon and the drop down arrow. 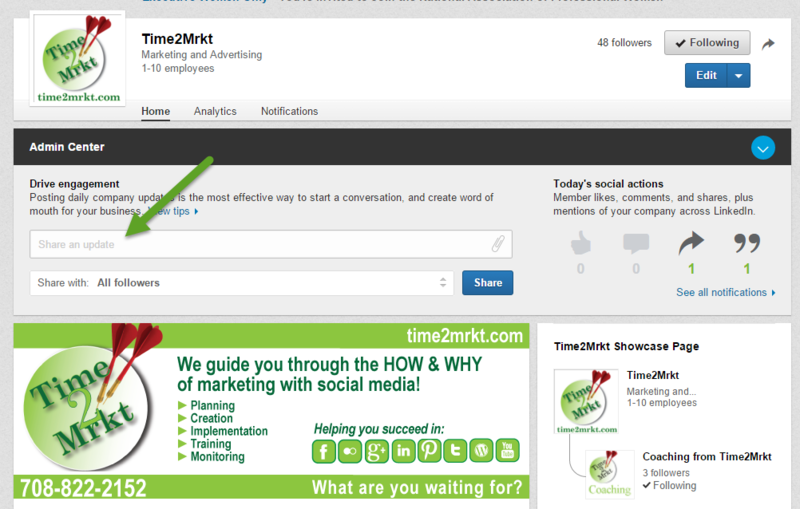 Click the arrow and select which profile you would like to use to post. Use this option for all pages that you Admin to share a post and perhaps even gain some likes from followers of other pages! Let me know if you have any additional thoughts or things that you need to see demonstrated. 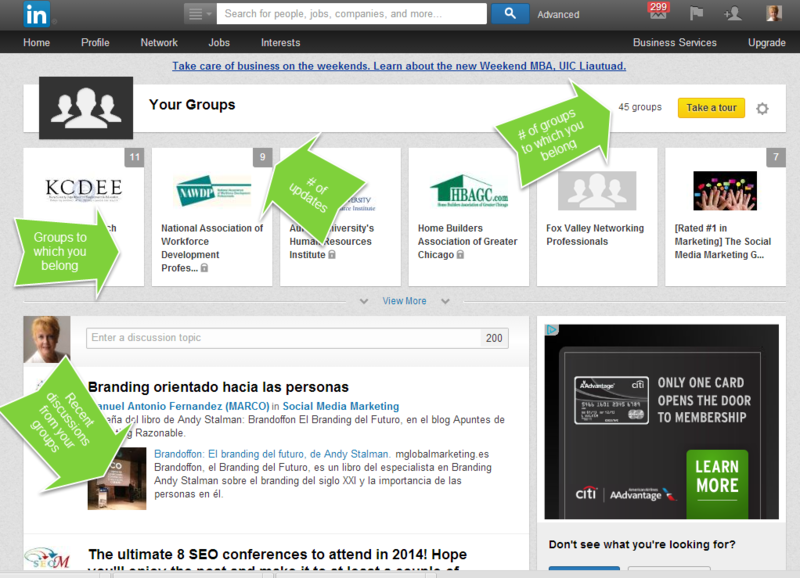 This might even help you with call to actions and events that you need to share in more than one place. 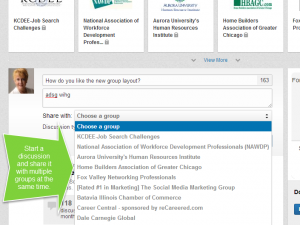 Less duplication of effort and personalize the message to the page upon which you are sharing the post. 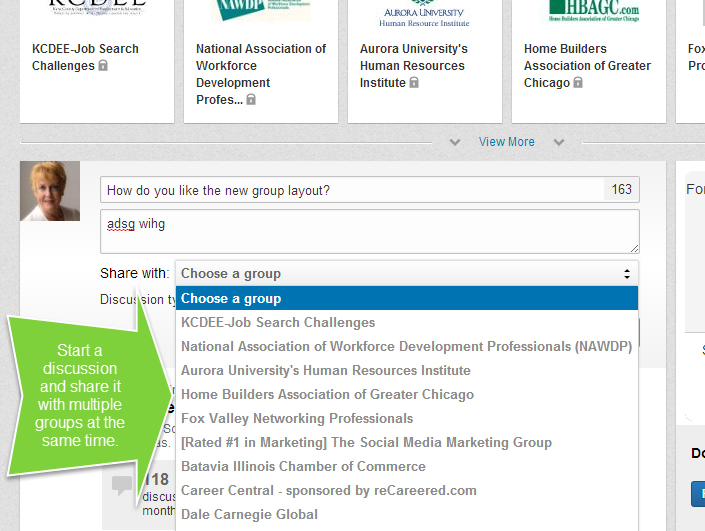 Today in LinkedIn, I clicked on Groups and noticed there has been a significant LinkedIn Groups Update. Follow the conversations from your groups in a stream below the list. 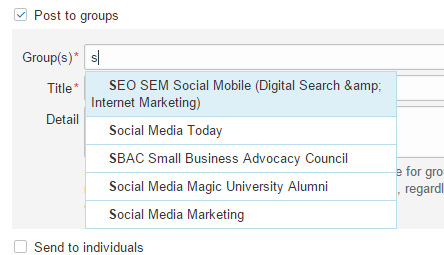 Select the “Choose a group” to you see the drop-down list of your groups! This is a great time saver if you don’t have an update to share from a company. It is a great way to gather information from multiple groups for research or to obtain an answer to a questions for which you just cannot find the answer. Share a workshop or other event to appropriate groups. As a reminder, some groups moderate their discussions, so your post may not appear automatically. Be careful not to appear spammy so that you are cut out of the loop! 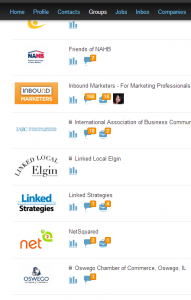 LinkedIn Company Pages – are you optimized? 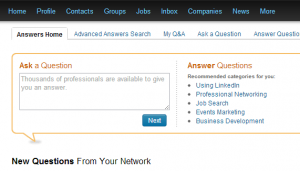 Does your company have a LinkedIn Company Page? Do you have products and services listed? Here is a 4 minute video on how to create a second persona for your company page. This is useful if you have multiple target audiences or wish to target a specific geographic location. Take a peek and let me know if I can help you accomplish this for your business. 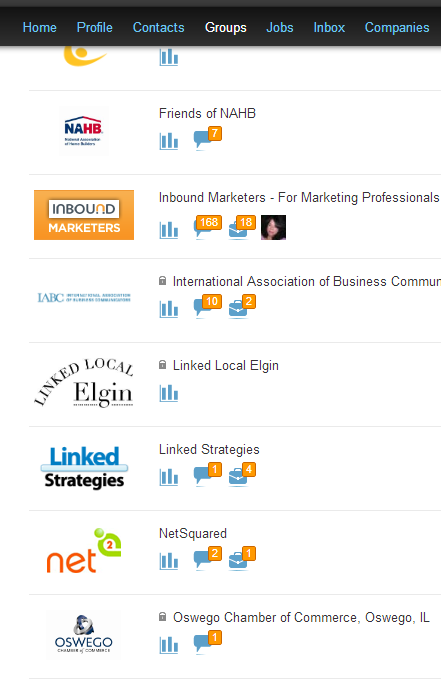 Author DeeReinhardtPosted on June 1, 2012 June 19, 2012 Categories LinkedInTags Company page, LinkedIn, sharing, status updatesLeave a comment on LinkedIn Company Pages – are you optimized?